My husband said out of the blue, “Hell has frozen over.” That’s because he saw my shoes in a pile in the hallway but instead of the sky-high heels he associated me with, he saw ballet flats and sneakers. It was the sneakers that did it actually since I had switched to flats when I got pregnant with Vito more than five years ago. 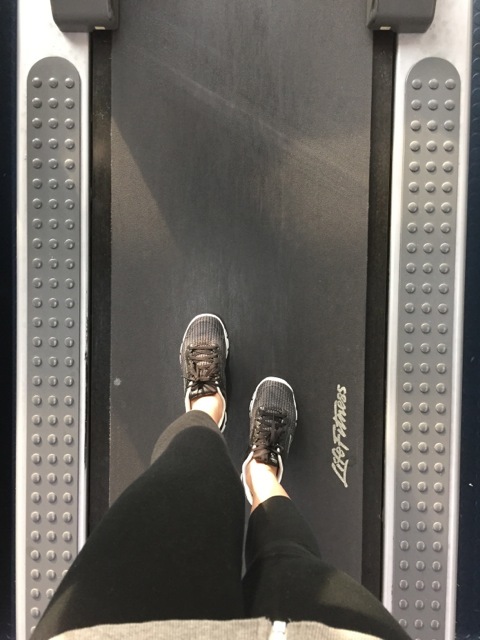 Then the day came that I had to run after little boys, and I switched to sneakers because ballet flats just can’t compete with seriously fast little legs. So, yep, I’m now a sneaker mama! Who else has the same experience, trading her heels for sneakers? Who’d have thunk it that I’d love my comfy mommy lifestyle? And I love that my new propensity to seek comfort has not meant I've sacrificed style. In fact, I'm finding it fun to match my for-heels-only clothes with my new sneaks. Or shorts, at least. So fun to be ultra comfy now in shorts and sneakers! 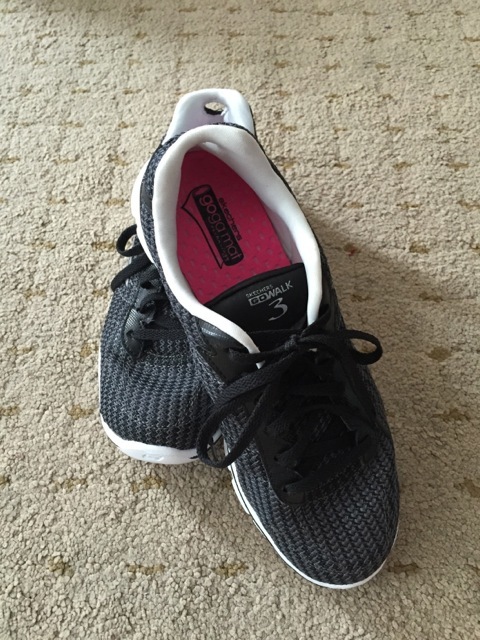 I picked out my new Skechers GOwalk 3 last week. I chose this pair because I've never had black sneakers before. I love it. It is sooooo comfortable! I first fell in love with Skechers because of my GOwalk 2. 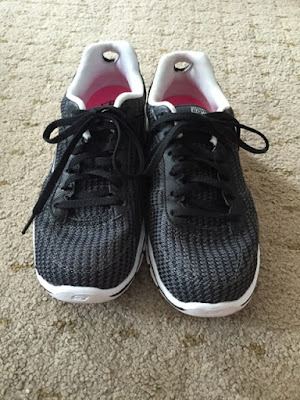 Then I needed shoes for the gym and so I got Skechers Sport, which I love, too. But I wanted shoes I can wear outside the gym and onto the streets and so I checked out the latest walking shoe of Skechers. The GOwalk 3 offers a more comfortable walking experience, whether I'm on flat streets or on rocky terrain. I don't slip at all. And since the sole is a bit wide, I also don't trip, which happens when I'm wearing narrow shoes. I'm guessing it's because I lose my balance? However, since my feet are narrow, I noticed that I really needed to lace up my shoes tight or else my feet start moving about too much inside the shoe. This came with black and white laces but I switched it to all black. Love that black material it's made of! Parang tela so my feet don't get hot. I also like this hole! It makes slipping on the shoe much easier. 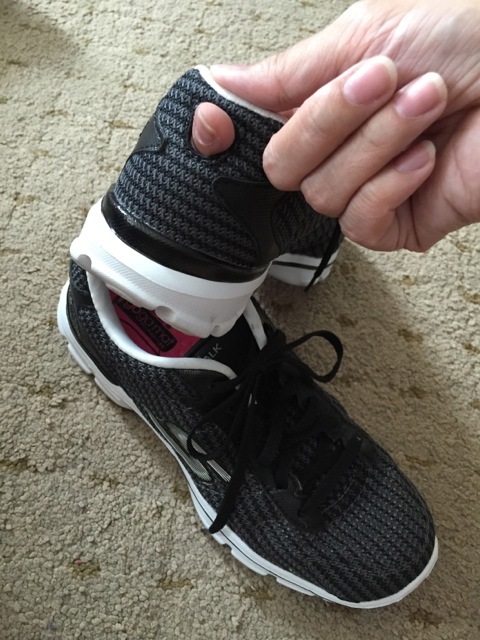 The GOwalk 3 has Goga Mat™ Technology. That means it has high-rebound cushioning—walking on marshmallows, I keep saying, and it still feels like it! It also has Memory Form Fit design. That means the foam padding around the heel doesn't flatten with use. So I can keep on walking and walking and walking! When I turn over my GOwalk 3, I see pink circles. That's not just decoration. Those are the GOimpulse and GO Pillar sensors that provide more flexibility. I read that it also gives you feedback for a more responsive walking experience. I don't know how that works so I can't explain it but I do feel like my body feels better—like I don't get tired easily from walking. I guess that means my body is responding on its own to the shoes. It also helps that these shoes are super light. When you pick them out sa store shelves, it feels weird at first how light they are. Like I think, "Are these strong enough? They're practically weightless!" Guys, they are super strong. 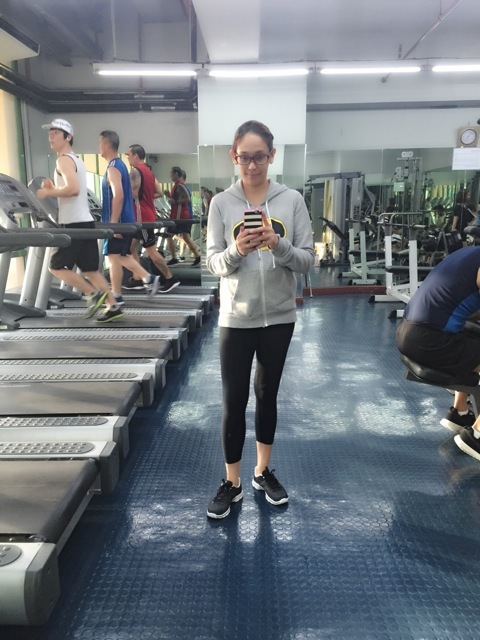 I've read reviews from marathon runners attesting to the strength and durability, comfort and flexibility of Skechers. Love them! Go get a pair now, too! Even my sons love their Skechers. I'll do a post on their shoes soon! Check out the Skechers GOwalk 3 at the following Skechers stores: Glorietta 2, TriNoma, Ayala Fairview Terraces, SM North Edsa The Annex, SM Mall of Asia, Robinsons Galleria, Robinsons Place Manila, Gateway Mall, Lucky Chinatown, Market Market, Festival Mall, Alabang Town Center, SM Fairview, SM Dasmarinas, Paseo Sta. Rosa, Marquee Mall, SM Pampanga, SM Clark, Ayala Center Cebu, SM City Cebu, SM Davao, Centrio Mall Cagayan de Oro and LimKetKai Mall CDO. Also available at SM Stores: SM Makati, SM Manila, SM Megamall and SM North EDSA. Visit Skechers on Facebook! Follow @SkechersPH on Twitter and Instagram!